Our Spa Management Software is a good investment – even for start-up spa. In this day and age of modern technology, almost all spa centers like day spa, medi/medical spa, resort spa, hotel spa, ayurveda spa, health spa, thermal spa etc are equipped with the best products and machines available. 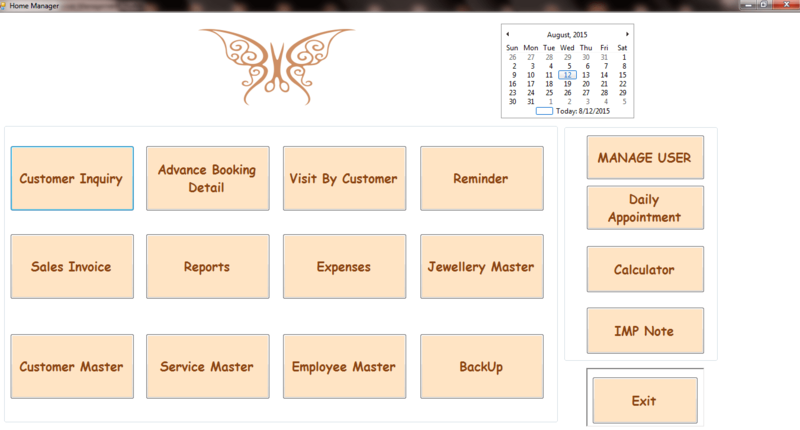 Our online spa management software is a computer-application package that integrates all the functions necessary for a spa business to run smoothly, like Inventory, Client Management, Employee Commission, Salary, Attendance, Client Feedback, Business Analysis Reports, Online Spa Appointment Booking, Coupons, Loyalty Programs, Email & SMS Alerts and lots more…. Client Management :Record all information about your clients, including formula and hair style history, pictures, products purchased, services, total spent, and much more. Employee Management :Determine employee performance including percent retained, top clients, and top clients for each employee. Appointment : View any day’s schedule in easy- to- read format. Add and edit appointments quickly! Service Management : Keep a completely custom list of service descriptions and prices. e-Salon-Spa also ‘remembers’ what you charged each client for a particular service. Inventory : Track all product information, including retail and wholesale prices, stock count, and automatic reorder points. E-mail & SMS : Automatically send a custom reminder message to your client’s cell phone or E-mail address. 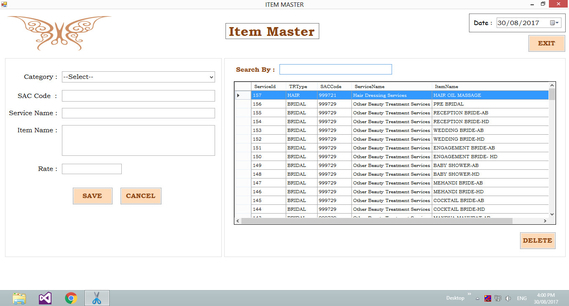 Supplier : Keep a record of supplier information and payment history. 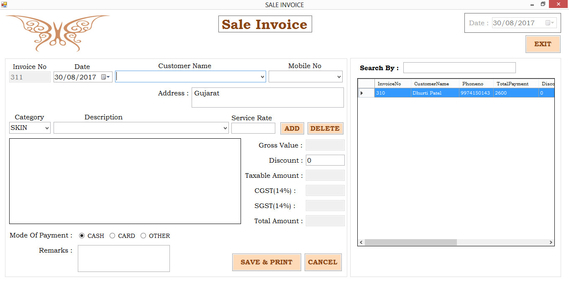 Tracker : keep record of all type of expense in salon and maintain their payment detail. Billing : Easily generation of invoice / bill and maintain track of client, service, product, package and gift card details. Membership : Membership can maintain easily, can track client balance amount, their service and product discount perfectly. Scheduling & Waiting List : Enter in each employee’s recurring schedule (hours worked, days off, holidays). Works with the appointment book.Keep a wait list of clients who would like to have an appointment scheduled if there is a cancellation, and check the list against the appointment book for openings. MIS Reports : e-Salon-Spa salon software includes over two hundred built-in reports and the ability to create your own reports. Additionally, you can view many of the reports in e-Salon-Spa graphically. Payroll : Calculate payroll based on your specifications including items such as local, state, and federal taxes, retirement, and health care, as well as the ability to run end of month or year totals.